Switchel, a classic American farmstead drink, is served at last year's Feast event. Courtesy of Feast! After last week, you not be prepared for it, but there is a big two-day feast going on in Rochester. 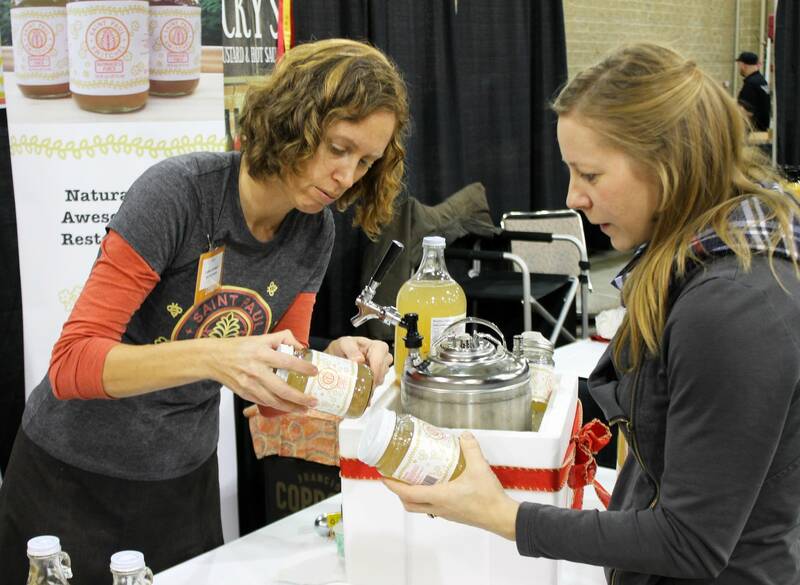 Feast!, the annual local-foods marketplace, is open Friday for people in food industries and Saturday to the public at the Mayo Civic Center. Beth Dooley joined All Things Considered to tell us more about what's going on, and the trends behind it. Editor's note (Nov. 30): While the show is open both days, an earlier version of this story didn't make it clear which day it is open to the public, which is Saturday.